Stock markets would remain closed on Wednesday and Friday for Mahavir Jayanti and Good Friday, respectively. Trading activity in the equity markets would be guided by macroeconomic data announcements and corporate earnings in a holiday-shortened week ahead, say analysts. Data for WPI inflation is scheduled to be announced on Monday. 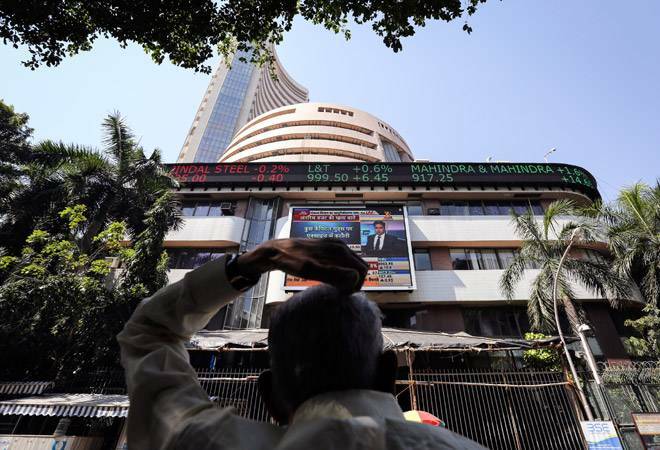 Equity indices may also react to industrial output and retail inflation numbers which were announced post market hours on Friday, analysts said. IT majors TCS and Infosys also announced their March 2019 quarter results after markets closed on Friday, which may lead to stock-specific action when the bourses open next week, they added. Movement of crude oil, rupee and investment trend by overseas investors would also influence trading sentiment, they added. "Earnings season will give direction to the market while investors are also keen on the ongoing election to gain confidence," said Vinod Nair, Head of Research, Geojit Financial Services Ltd.
Voting for the second phase of the elections will take place on April 18. Counting of votes to constitute the 17th Lok Sabha will take place on May 23. After rising over 200 points intra-day, the 30-share BSE Sensex finally settled 160.10 points, or 0.41 per cent, higher at 38,767.11. The broader NSE Nifty rose 46.75 points, or 0.40 per cent, to 11,643.45.